Expected returns from capital funding investments is increasing, particularly for Venture Capital (VC) and Angel Investor groups. That's the takeaway from a report by William Buck Chartered Accountants and Advisors. Mark Calvetti, Director of Corporate Advisory, says “Our experience shows that the expected rate of return from capital funding investments by Venture Capital groups in 2018 were between 30% to 50%. Whilst the expected rate of return by angel investors was even higher at 35-65%." These returns are in line with the returns by these groups based on a survey carried out by Pepperdine Capital Markets in the US, which highlighted that the target rates of return by VC investors ranged between 25%-45%, with considerably higher expected rates for seed to early stage investments (30% to 45%); reaching as high as 38% to 60%. Interestingly, bank loans had the lowest average rates of return (3-6%). Source: Pepperdine Private Capital Markets Report 2018. According to Calvetti expectations depend on funding type – with earlier stage investments having a higher expected rate of return. “What the evidence showed us is that there’s a wide range of investment returns depending on the type of investor and stage of investee business. 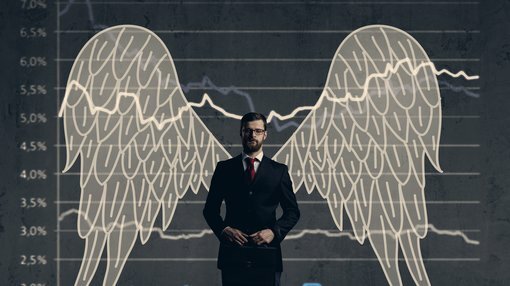 Angel investors – seen at the earliest investment stage – are receiving the greatest returns, generally due to the greater perceived risk,” Calvetti says. “There is a huge amount of VC activity across the globe. VC backed companies globally are projected to have raised approximately US$330 billion during the calendar year 2018. In comparison, that’s around 55.7% over the US$212 billion capital raised in 2017,” Calvetti says. “There’s also a growing trend for mega-funds investing in late-stage companies, with late-stage rounds continuing to grow as a percentage of VC investments. “Historical data shows there’s a continued trend in Australia and globally of a declining number of deals, but an increase in average deal sizes, with globally the median deal size reaching US$40 million. The VC investments in Australia reached A$3.1 billion across 161 deals over the 2018 calendar year, with an average deal size of A$20 million. This is more than double the value of VC investment in 2017 of A$1.4 billion across 183 deals, with an average deals size of A$7.5 million. 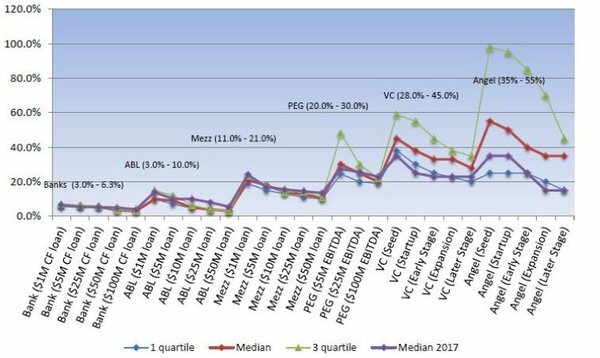 Source: Preqin data on Venture Capital Activity in Australia 2018 and WB Analysis. Calvetti says for software and biotech entities, VC has been a great way for private business to take the next step. Some of the top Australian transactions in 2018 included: Deputy – A Sydney based workforce management software company which recently raised US$81 million (A$111 million) in one of Australia’s largest Series B round; Clinical Genomics – A US based bio-technology company specialising in colorectal cancer (CRC) diagnosis raised A$33 million in series B round - essentially in convertible notes. Calvetti says for private business seeking funding, these findings are critical. The aim of William Buck’s report was to fill the gap for their clients who, when seeking funding didn’t know what rates of return an investor wanted. The report also discussed the preferred exit strategies for VC investors. Selling out the investment to another public company was at the top of the list, followed by selling to a private company and IPOs.